Start your year the best way possible by and tick another destination off your bucket list. Escape the January blues and discover where we believe are the best destinations for you to visit at this time of the year. From the Australian outback to the vast icy wilderness of the Antarctic we have covered it all and can help you find your perfect January adventure. A country that possess incredible temples, stunning beaches and rural county side full of incredible nature it’s no wonder tourism in Cambodia is at an all time high and still on the rise so now is the time to visit! Below are my memories and thoughts on my experience in Cambodia shared in January when the country a month perfect for visiting. This country often experiences hot temperatures and high rainfall for a long period of the year however January is an exception to this and is the best time to visit in regards to the climate. Phnom Penh a city full of friendly people, an interesting culture and delicious food. Most tours will include a brief visit either at the beginning or end of your trip here’s a brief summary of what you can expect head to The Royal Palace, inside you’ll find a huge collection of buddhas made of gold, silver, crystal and bronze after embracing the royalty grab some history at the National Museum a gallery of archaeological and religious artefacts. If it’s crystal clear waters accompanied with golden sand you are after then head to Koh Rong Somloem – the island is a quaint and peaceful place a lot less developed than the larger island known as Koh Rong a ten minute boat journey north, Samloem offers a number of cheap beach hotels with a peaceful friendly atmosphere the perfect place to unwind after the hectic city living of Phnom Penh, go for a late night swim in the warm waters and keep an eye out for the magical glow in the dark plankton. 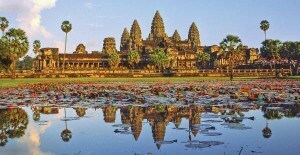 Discover Angkor Wat, much more than your ordinary temple this is world famous and is the reason alone why many people travel to Cambodia itself. Many of the tours sold by Low Cost Deals will include a tour to these incredible temples lasting up to four days down to the sheer size of the complex of over 50 temples enough for anyone to fill their cravings for culture. It took the Cambodian people 35 years to build which when you visit you can fully understand, the attention to detail in the sculptures engraved into the temples leave you awe inspired and you can fathom why 2.6 million people came to see this magnificent structure in 2010 and why it is the centre piece of the Cambodian flag. January is the most popular month for people travelling to Australia as this see’s the height of summer meaning the beaches are full and the sun is shining for everyone to enjoy. Since it’s such a vast country you may need to give yourself a bit of time to really be able to experience all it has to offer. From sandy beaches, impressive mountain ranges, tropical rain forests, barren deserts and some truly modern cities like Sydney, Melbourne and Perth; it has a little something to offer every visitor. 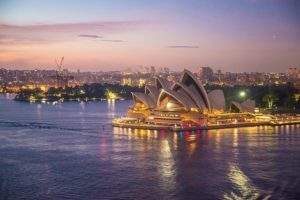 There are lots of different holiday types that can be enjoyed in Australia, from hotel and beach package holidays, city breaks to perhaps more adventurous ways of exploring the country such as escorted tours to Australia. Sydney, probably Australia’s most iconic city and certainly the one that most people think of when they think about holidays down under. Depending on the kind of holiday you are looking for, you could arguably spend all of your time in Sydney with so much to see and do! The Sydney Harbour Bridge and the Opera House frame the cityscape and are perhaps some of the most well known landmarks in the world. There are plenty of beaches in and around the city, but perhaps Bondi Beach is the most famous of all giving you opportunity to lap up the sun, sand and surf. No tour of Australia would be complete without taking in the sights of the Great Barrier Reef (perhaps best viewed from the air). Often regarded as one of the seven natural wonders of the world, it’s the largest coral reef in the world, covering some 133,000 square miles! Perth & Western Australia are a natural playground of pristine beaches and countryside, full of fantastic wildlife experiences. Melbourne sip on fine wine, get close to Koalas and experience the best of Australia in Melbourne. Now for the ultimate adventure it is time to head into the real unknown and explore the wilderness of the Antartica. January is known to be the peak of the Arctic summer in which the conditions aren’t as harsh as the rest of the year and the days are much longer then in the winter time. 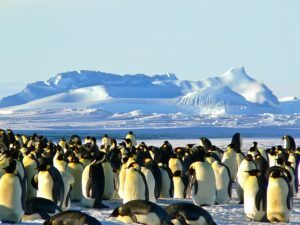 Known as the end of the world the Antarctic has become more accessible over the years with cruises heading to the South Pole to provide a hugely unique experience you certainly won’t forget in a hurry. The most popular method of travelling here is on a cruise in which you can enjoy the scenery in the comfort of a high quality ship with your tour guide providing the knowledge of the area ensuring you make the most of this amazing experience. Meet penguins up close and touch icebergs with your bare hands. On board a Hurtigruten cruise there is so much to do: Science Centre, exciting lectures, and more, all designed to enhance your trip. The main passage way to the South Pole is through South America or New Zealand which gives you the opportunity to discover this ominous part of the world. If it’s wildlife you are after then January is the month to go with it being the best time of the year to spot baby seals and even the newly hatched penguin chicks whom are part of the huge penguin colonies who gather on the shore. Along with these you will be lucky to come across a selection of whales and maybe even the odd polar bear along your way.